The requirement that secular Israeli women serve in the IDF constitutes “serious violence against women,” MK Yisrael Eichler (Yahadut Hatorah) has charged. Eichler, who is hareidi, spoke in Knesset as part of a discussion in honor of International Women’s Day. “In Knesset, I won’t talk much about women’s issues. But the most serious violence against women perpetrated by the state is the mandatory enlistment of girls to the army,” he argued. “Whoever cares about women’s dignity must immediately cancel the law requiring women to enlist in the army. Just like religious women are exempt from army service, secular women must be, too,” Eichler declared. “You want ‘equal burden of service’? Here’s the chance,” he added, referring to demands that all Israeli men be equally obligated in the draft. 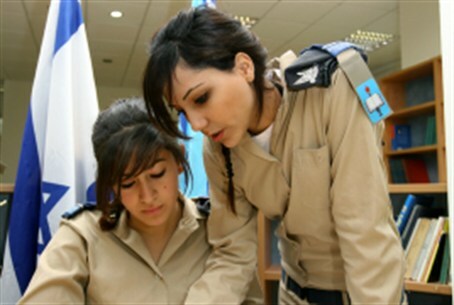 Currently, religious women are not obligated to enlist in the IDF. The Chief Rabbis of Israel recently ruled that Jewish law forbids religious women from enlisting – a stance which angered Finance Minister Yair Lapid, who called to have both rabbis fired. The Shaked Committee, which is creating a new military service bill, considered making the length of service for male and female soldiers equal, but ultimately could not muster a majority for lengthening women’s service.